If you want to go for some important meeting and you Ford Transit Connect diesel engine stop working, it surely would be the worst time of your life. No one wants to catch in this type of situation. To avoid it, always do the periodic maintenance of your Transit Connect diesel engine. However, if you feel that your Ford Transit Connect engine start giving odd sound or the engine efficiency drops down to the worst stats, it’s time to swap Ford Transit Connect engine. 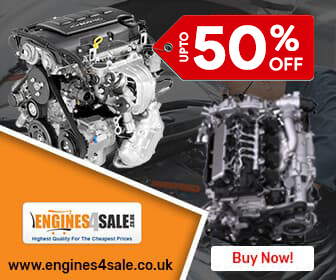 Engines4sale.co.uk is the best place to get used or reconditioned diesel engines at low cost. 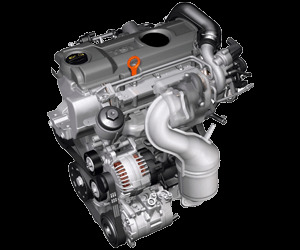 Engines for Sale is the No.1 reconditioned and used Ford Transit Connect diesel engines selling platform in UK providing best working and efficient Ford Transit Connect diesel engine for sale. With the efforts of our trained engine repairing and rebuilding team, we feel proud to deliver top quality used Ford Transit Connect diesel engines for sale. We are always available with ready to use reconditioned, rebuild, less used, low mileage, newly used diesel engines at the cheapest prices in UK. We never compromise on quality. Buying the perfect, high quality working used Ford Transit Connect diesel engine releases your tension. But what to do with the only engine? It cannot be driven until properly fit and connected in the vehicle. We also offering the fast Ford Transit Connect engine fitting service for its customers. Under fully safe and professional environment, we fit your used or recon Ford Transit Connect diesel engine with full accuracy guaranteed. We offer engine supply and fit and delivery service at nominal charges. Engine delivery to your doorstep or to your desired destination is not a big deal for Engines for sale. It is must to replace the old Ford Transit Connect diesel engine with a new, used or reconditioned diesel engine if you feel your diesel engine is constantly less performing. Buying a new engine should be the best option, but what to do with its high cost? Wait! Engines for Sale has the best solution for you. Buy any reconditioned or used Ford Transit Connect diesel engine and get discounts up to 35% on your purchase. All used and rebuild Ford Transit Connect diesel engines at Engines for Sale are sold under standard warranty to make sure that our supplied Ford Transit Connect diesel engines are fully tested and verified. The warranty period consists upon the condition of the Ford Transit Connect used engine. Depending upon the condition of the engine, the minimum warranty offered is 6 months and It prolongs to 24 months. Simply entre your VRM and get the price of your desired engine.